World Cup Brazil Soccer 2014 Free is the new game of the year. If you like soccer and sports’ games and apps you cannot miss this one! Watch its promotional Youtube video on your mobile to enjoy fun without limits. Play with your friends in multiplayer mode and get the best score by yourself, which will lead you to the number 1 on the Google Play Games’ online leaderboards. 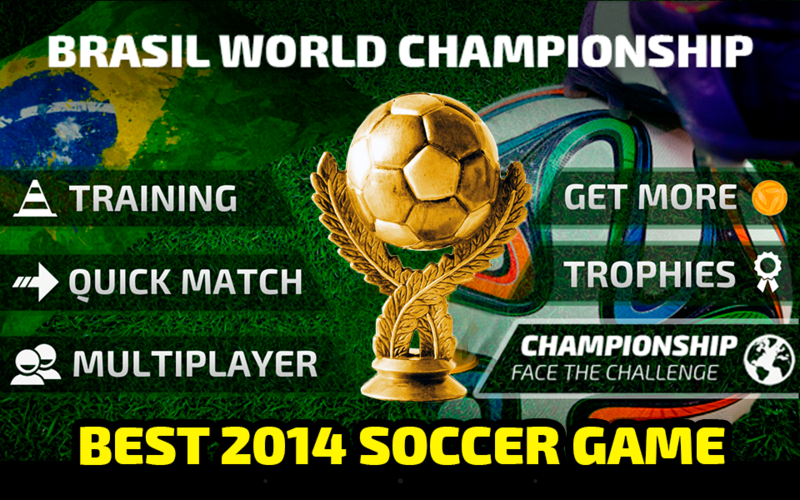 Live the 2014 Soccer Brazil World Cup with the best free soccer game. 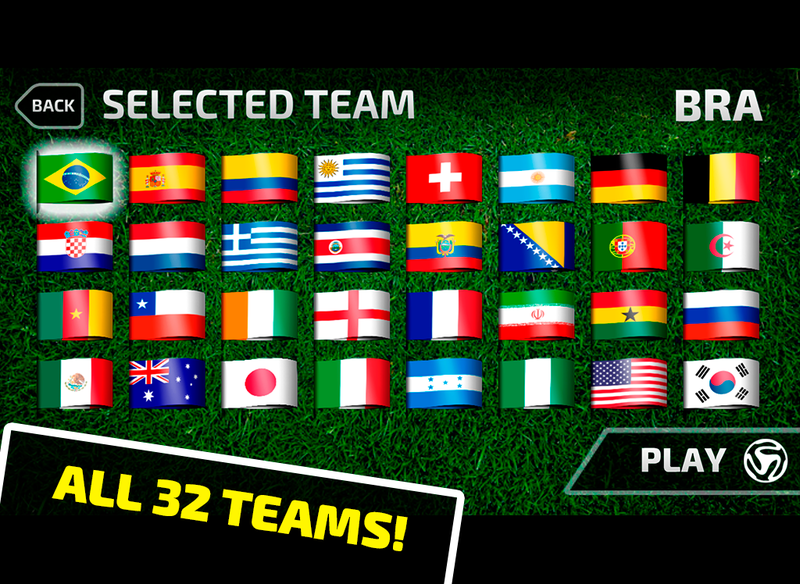 Feel like your favorite sports stars with its 32 teams and win to be the champion of the world cup! Shoot kicks and penalties , and defend your goal undefeated. Kick the ball with all your strength to win! Crush your opponents in 5 rounds of this sports simulator. ★ Improve your soccer skills ! · Try the training mode where you can improve your shooting accuracy to become the best player ! 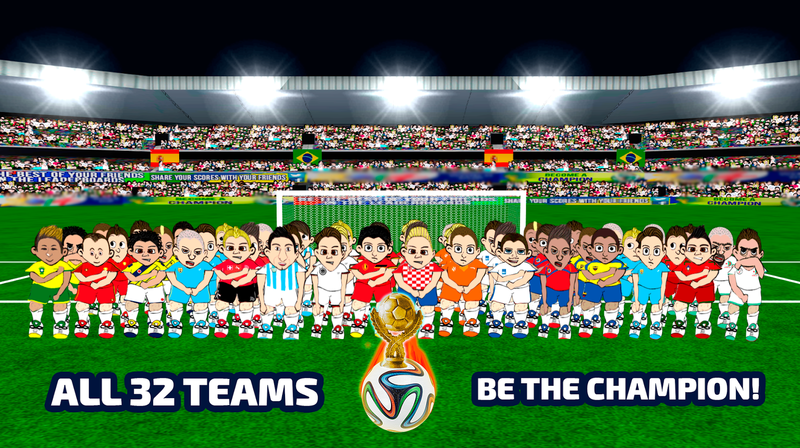 · Be a manager or a player on your team and play with head to get the World Cup trophy in the way ! · Shoot the target in quick match mode and run for the win ! ★ Show your friends who is the best ! · Compete against your friends for the trophy in multiplayer and also beat them through leaderboards and achievements of Google Play Games ! · Share your victories via Twitter and Facebook with all your contacts so they will know who is the champion ! Tell everyone! · HD graphics optimized for tablets. · Amazing soundtrack composed by the greatest artists of today, including free music Juanitos’ Black Samba . · Easy control of the ball that provides accuracy and speed.